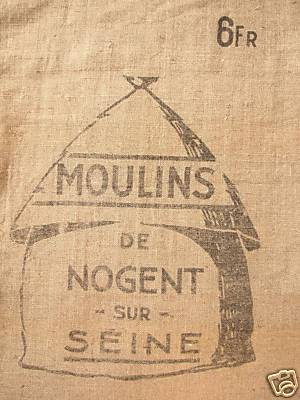 I love French grain sacks. 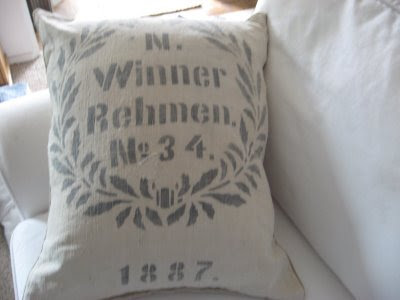 I bought the pillows from Wisteria that are burlap printed like old sacks, but they're not the same. They're not age-ed. I really wanted to find two matching sets and make window treatments with them, but alas they were too pricey on Ebay. Can't wait to see what you come up with. In the meantime, can you just post me that second grain sack over to me thanks? 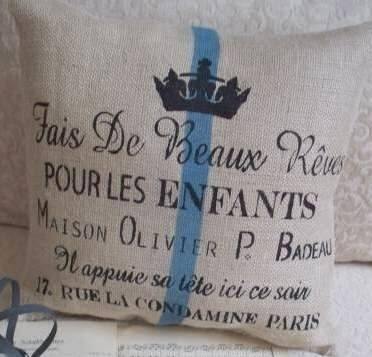 Vintage Grains sacks are so beautiful!! I have shown many expmaples of the sacks and how to use them in many different projects. 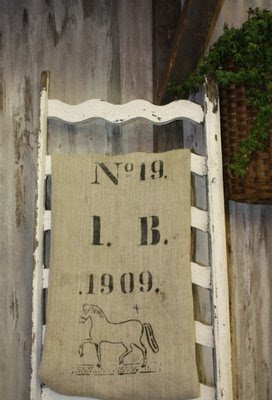 Check out my posts on this and my links to to two women who sell the antique linens and the pillows. Many of the ones above are not in fact antiques, but copies, but they are beautiful just the same. Aren't they just heavenly? 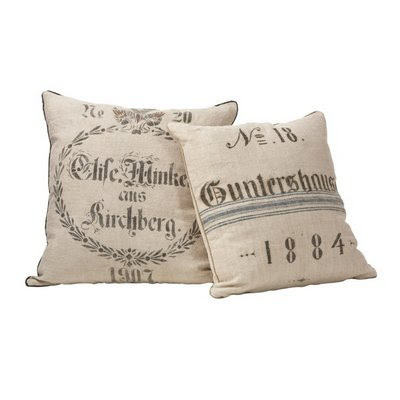 I have an old burlap sack that I am going to find two pillow inserts this morning for. I want to make some floor pillows so I have to find large inserts! I also love my two pillows that I made from an old flour sack. I am always on the look-out! I love those! 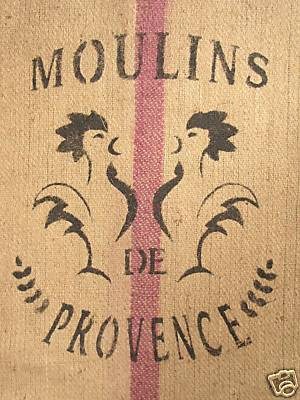 I'm going to keep my eyes peeled for some vintage Spanish grain sacks, although I have no idea where I'd find them here! It seems like something that would just get thrown away. I think my idea of devastatingly wonderful is very different than others in this culture! I'm sure yours will be beautiful! 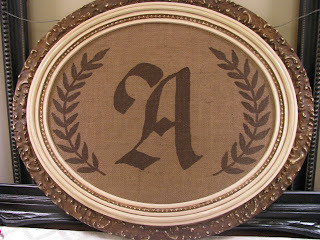 Burlap is so inexpensive that you should just jump right in and do it. It really is FUN! Thanks for mentioning my blog. I appreciate it! I'm a big grainsack fan myself! These are lovely! All those sacks are so neat! I saw this too at Joys of Home and loved it. I'll have to put it on my long list of projects I want to try! I love those too! I am curious to see how yours turn out! Go for it! I'd love to see how you go about making yours! I love the grain sacks. What a great idea! Oh great. 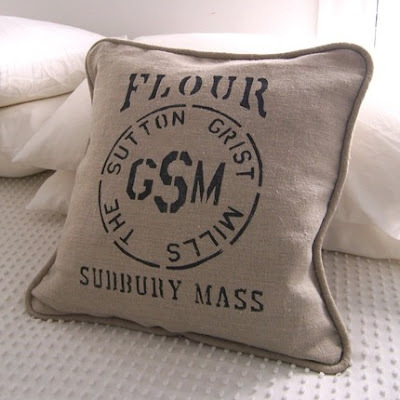 Now I've gone and fallen in love with grain sacks . . . Thank you so much for this posting. I also want to thank you for showing my burlap pillow. 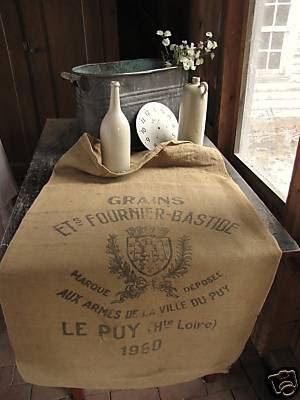 I have now added a new French grain sack for those of us who cannot afford the real ones. I especially love the one with the roosters and think it would look pretty cool in a black frame and hung in the kitchen. I have been collecting these grain sacks from a lady in Austria and making handbags . . .the textiles are so wonderful to work with . . . my website is http://www.sweetpeapockets.com/ - I've come up with some great designs! !